A Bear with a Mullet. 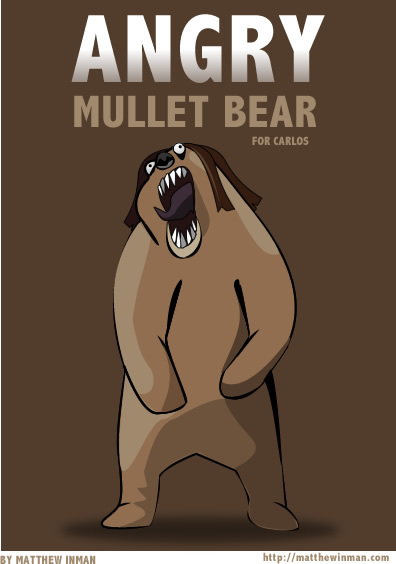 Carlos didn't specify that the bear should be angry, but the way I see it - if I was a bear and I had a mullet, I'd be pretty pissed. That is great. Very funny. That is amazing! You are an awesome artist. So so jealous! Nice meeting you at SX! Keep in touch!!! lol thats quite some talent there.